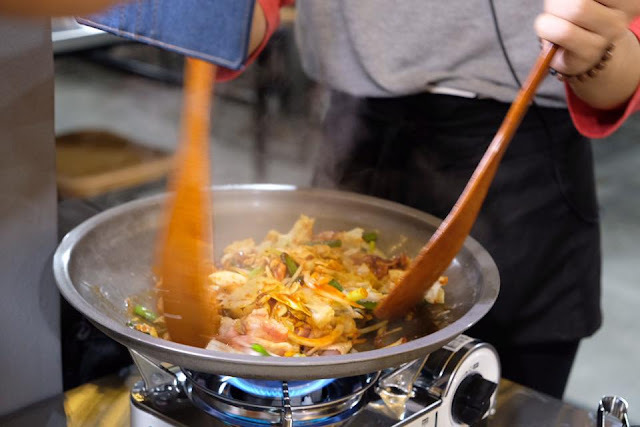 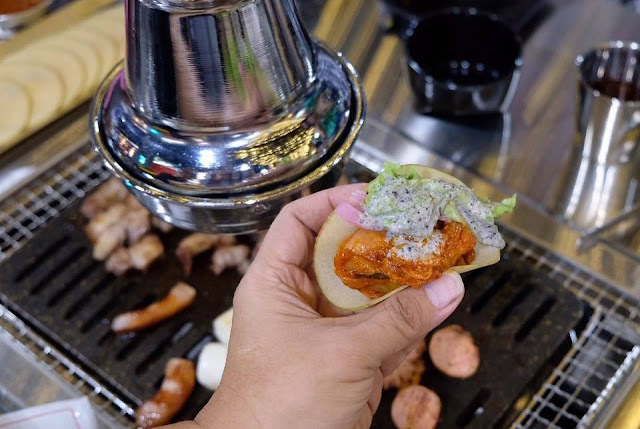 Korean BBQ is taking the country by storm, but what makes Apple Samgyupsal truly unique? Well, here's the twist! 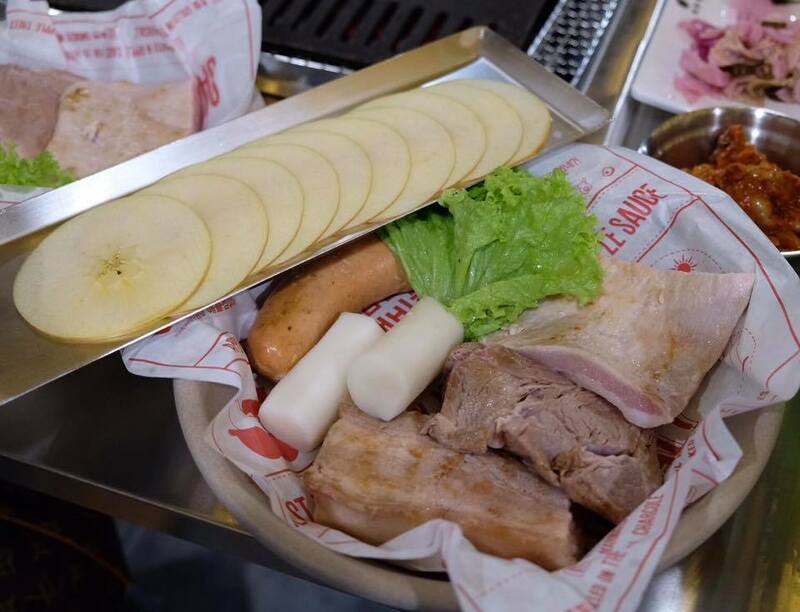 The porks are marinated in apple juice for 24 hours and smoked with apple wood chips prior to grilling, thus this gives the porks a refreshing, fruity smoke flavour with a delicate hint of sweet apple. 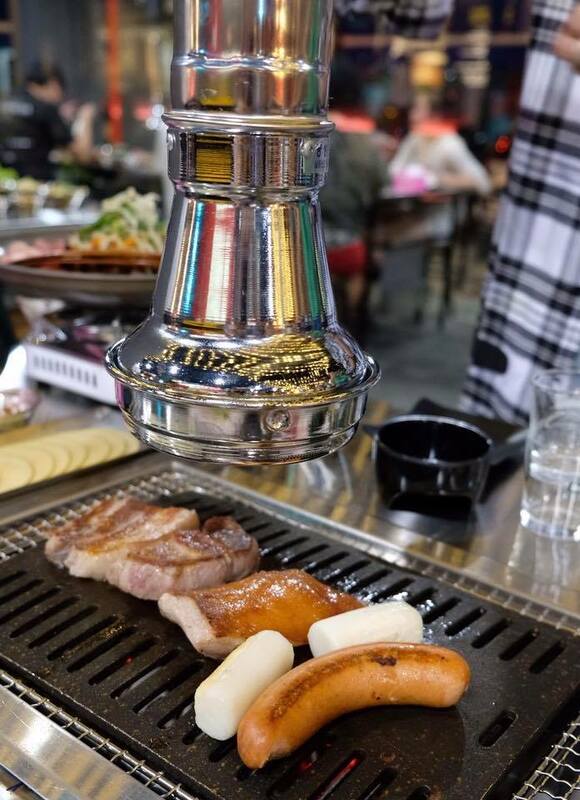 Our feast also comes with an array of unlimited refillable side dishes served with Apple Samgyupsal's signature onion dressing with apple, apple infused soy and luscious honey apple sauce. 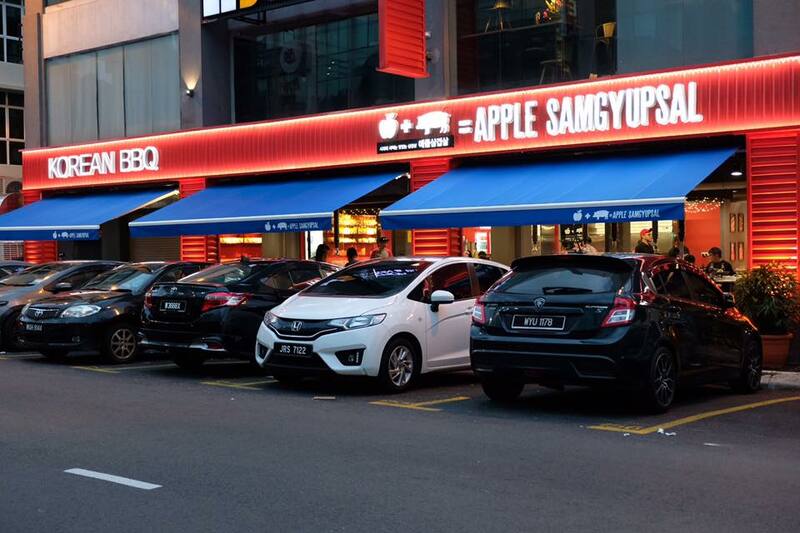 At Apple Samgyupsal, you get to grill your own meat. 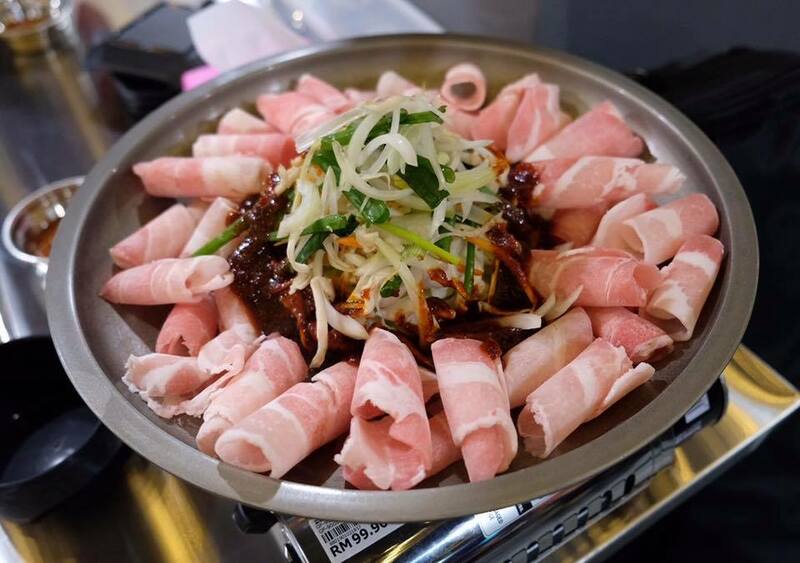 Wrap the pork meat with the thinly sliced apple, top it with your preferred sauce and enjoy. 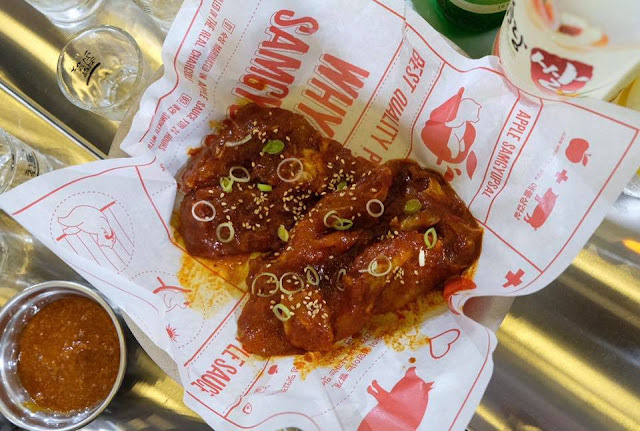 The combination of BBQ pork and apple slice combined with the sauces was indeed out of this world, moist and juicy with a nice tangy touch. 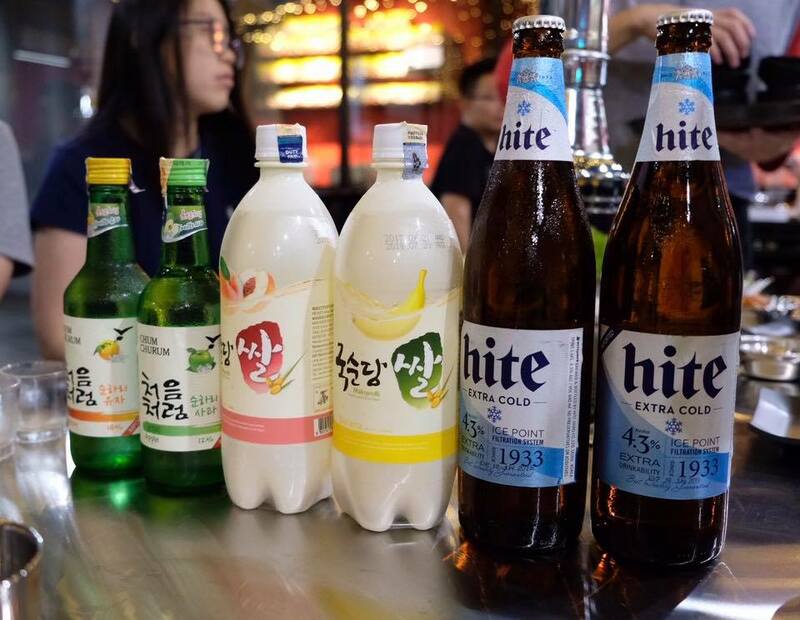 And there's nothing better to wash down the meal with some Korean alcohol! 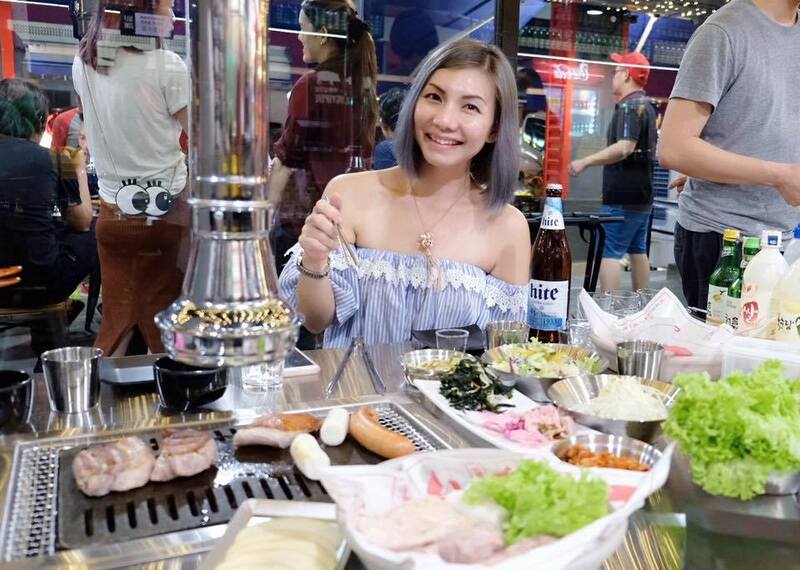 The Korean Alcohol Party Set priced at RM148 comes with 2 bottles of Soju, 2 bottles of Makgeolli and 2 bottles of large Hite beer, perfect to enjoy with the grilled goodness. 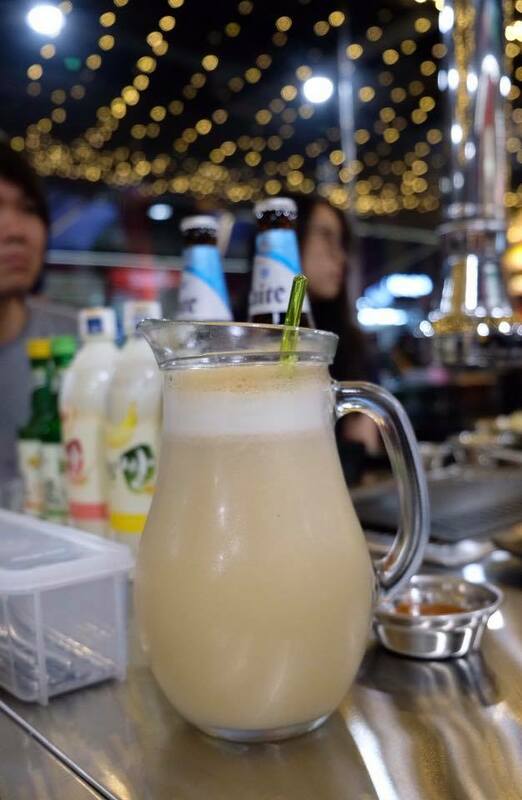 For the ultimate dining experience, you could also pair your meal with the refreshing chilled Apple Soju or better known as the Korean vodka. The slightly tangy fruit flavoured soju has a smooth taste and easy to drink. 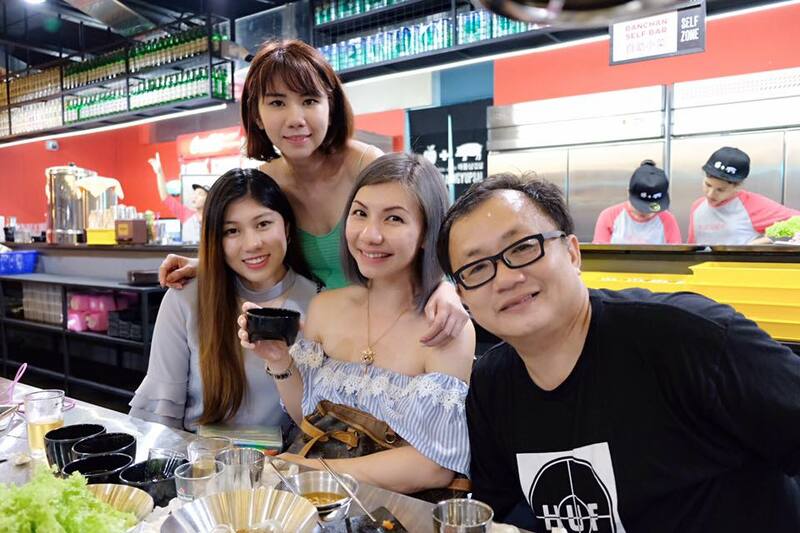 A lovely night with great food and awesome company, we all agreed, this was definitely one of the best Korean BBQ restaurant in town. 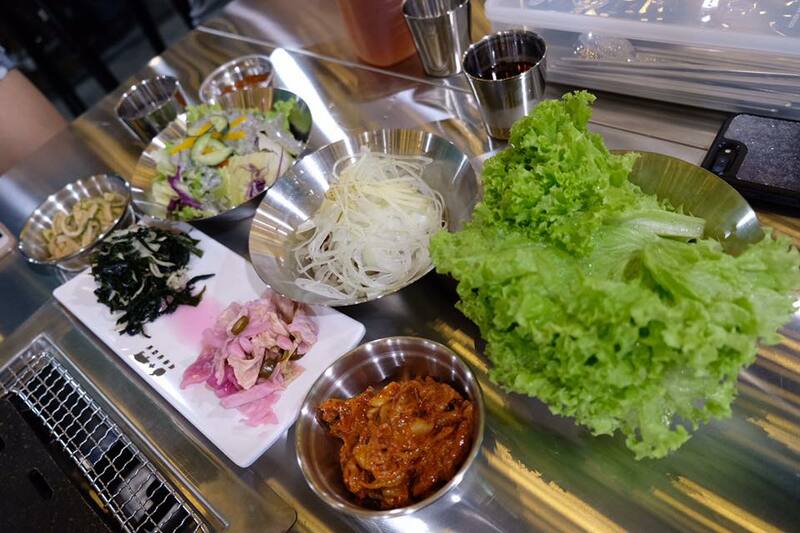 The prices may appear a little steep, but the quality of the food make it worth every penny. 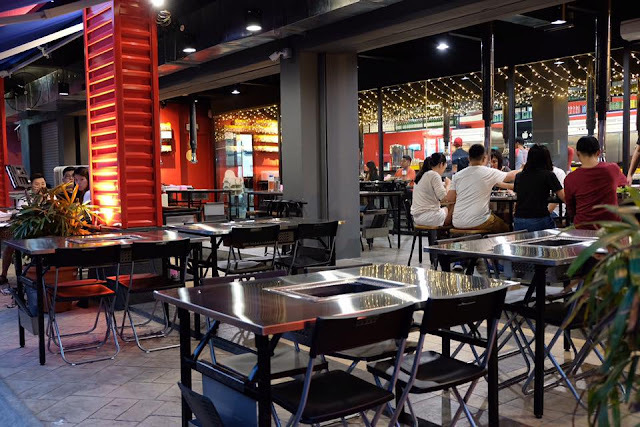 However, the ventilation in the restaurant was rather poor as it can get hot and stuffy, hence, you might prefer al fresco dining.